Charges on file against an 18-year-old Atchison man marks the second arrest made in connection with an October residential burglary and theft of multiple firearms from a rural residence. Keldon M. Reynolds is held in the Atchison County Jail on a $20,000 bond facing six felony charges that include: burglary with the intent to steal a firearm; three counts theft of a firearm; theft; and criminal damage to property; and one count misdemeanor theft. Atchison County District Court records indicate an arrest warrant was issued for Reynolds on Feb. 13. Reynolds was subsequently transported and booked into the county jail on April 4 where authorities from Atchison County Sheriff’s Office arrested him. J. David Farris has initially been appointed to serve as defense counsel of Reynolds. Formal charges against Reynolds were announced April 12 in district court. Reynolds is scheduled for the 9 a.m. criminal docket Friday, April 19 with Farris. 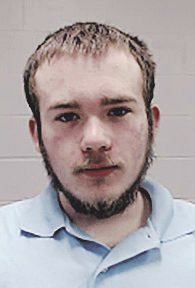 Reynolds’ co-defendant, 19-year-old Jonathan M. Hundley, of Rushville, Missouri, was arrested March 2 on a felony warrant. Hundley has since bailed out of jail on a $20,000 bond. Both Hundley and Reynolds are facing identical charges. Overland Park-based attorney Judd Herbster serves as Hundley’s court-appointed defense counsel. Hundley’s next day in court is at 1 p.m. Monday, April 22 with Herbster. The respective complaints against Reynolds and Hundley allege they burglarized a residence Oct. 5, 2018 along Osage Road with intentions to steal a shotgun, two .22 caliber rifles and two air rifles. The collective loss of the weapons is more than $2,000, Atchison County Sheriff Jack Laurie initially reported to the Globe following Hundley’s arrest. Mary Meyers can be reached at mary.meyers@atchisonglobenow.com.